Businessman and adventurer Homer Augustus Brinkley produced this film in 1928 to illustrate the exotic environment found in the Everglades. Brinkley lived among the Seminole Indians for a few months. He later used the film in a traveling show that included a live caged bear and himself dressed as a Seminole Indian. Photographed by William B. Feeland, the film contains some of the earliest moving footage of Seminole Indians. Beginning with panoramic shots of vegetation, waterways, and abandoned structures, the film also includes footage of wildlife such as an owl, raccoons, water moccasins, alligators, deer, a wild turkey, and a bear climbing a cabbage palm. Scenes of Seminole life in the Everglades center on Camp Californee. Scenes include two women grinding corn, followed by close-ups of their clothing. Seminole women and children are shown in chickees. Views of the landscape include orange groves and crops in the field, as well as Seminoles walking through the forest and canoe travel. A family is shown returning from a hunt with the father presenting a brace of raccoons. Another man wrestles an alligator in a grass clearing. Men are shown spear fishing from dugout canoes. An elderly man prepares for the green corn dance. A woman identified as Princess Shimpollhiee is shown in a dugout canoe. Chief Josie Billie is seen, followed by the Catfish Dance around a fire. Other dances filmed include the Sun Dance, Turtle Dance, and Buffalo Dance. Men, women, and children are shown playing a vigorous game of Seminole stick ball, followed by close-up views of the victors. The film ends with more scenes of the Everglades landscape and wildlife. 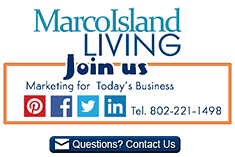 Ask us about Marco Island – Naples FL visits or share reviews. To feature your business, contact us.